Rajasthan Assembly election will be conducted on Friday, 7th December 2018. 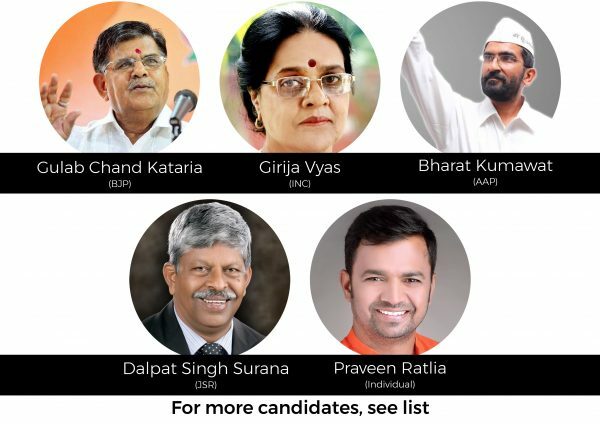 As a citizen of this city, it is important for you to know about who is going to be the future MLA from your city. These 28 seats from the Mewar and Vagad Region will play a very crucial role in the Vidhan Sabha elections. 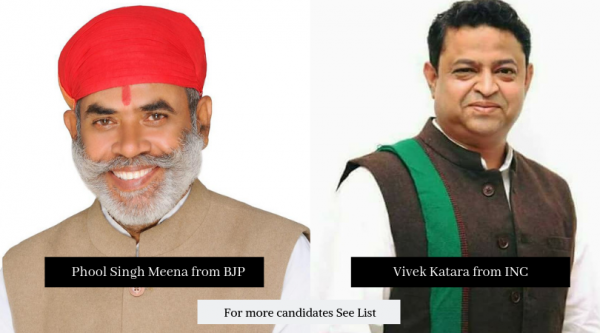 So, here are the names of all the candidates standing for the State Assembly elections from Mewar and Vagad region which includes 6 districts namely Udaipur district, Banswara district, Chittorgarh district, Dungarpur district, Rajsamand district and Dhariawad district. These candidates belong to different parties the major ones being Bhartiya Janta Party and Indian National Congress. Some candidates don’t belong to any particular party and are standing in the elections as an individual. Rajasthan Assembly Elections are on 7th December 2018. We request you to take some time out of your busy schedule and go vote. We are the only one responsible for our own tomorrow. Do you have any feedback or suggestions regarding the article? Write to me at juhee@udaipurblog.com.